Last night marked the 84th Annual Academy Awards. Aside from an early J.Lo nip slip, the evening was the typical self-aggrandizing love fest that felt like one giant ‘Hugo’ commercial. 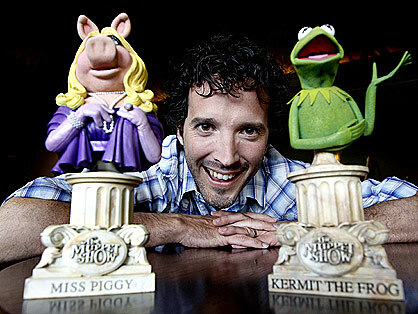 A bright spot came in the Best Original Song category, where Brett McKenzie, one half of comedy duo Flight of the Conchords, won for his work on ‘The Muppets.’ Below you will find a music video for McKenzie’s “Man or Muppet” featuring leading man Jason Segel and Walter among others.